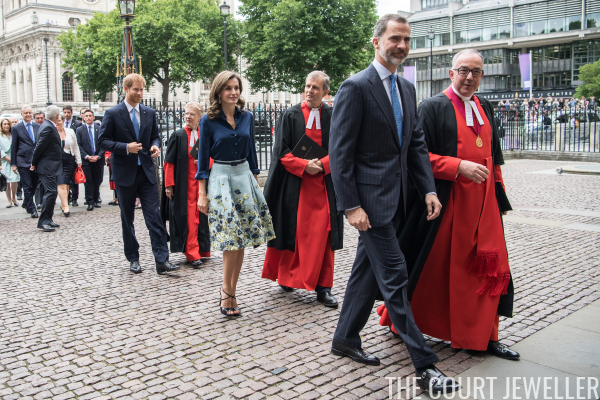 The second day of the Spanish state visit to the United Kingdom began with a visit to Westminster Abbey. 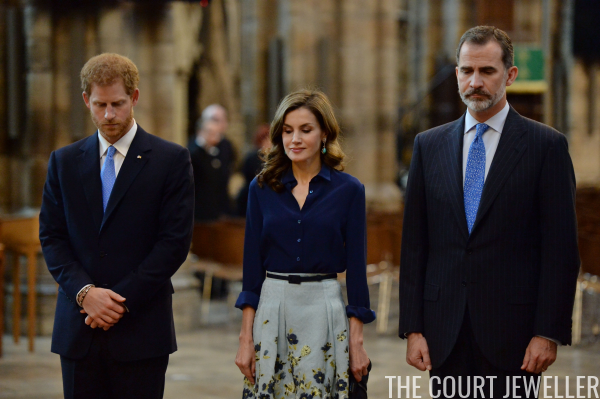 King Felipe and Queen Letizia were accompanied by Prince Harry for the engagement. 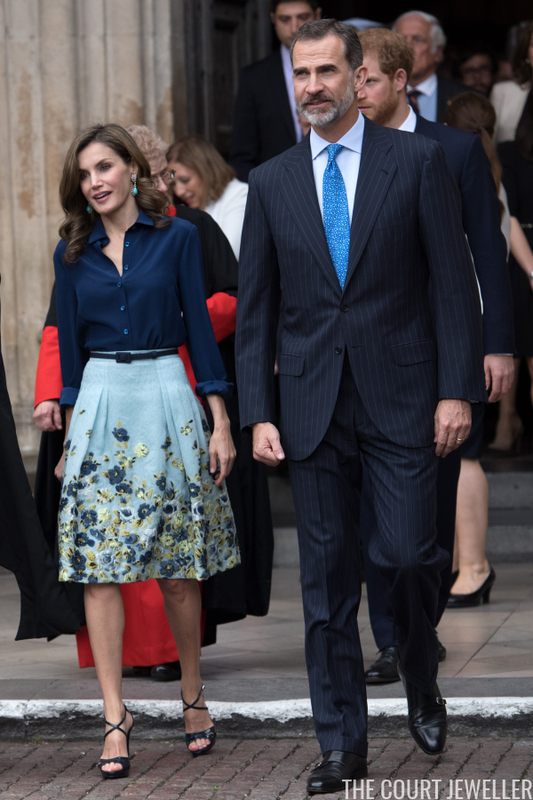 For the occasion, Queen Letizia wore a pair of diamond and turquoise statement earrings with a floral skirt from one of her favorite designers, Carolina Herrera. 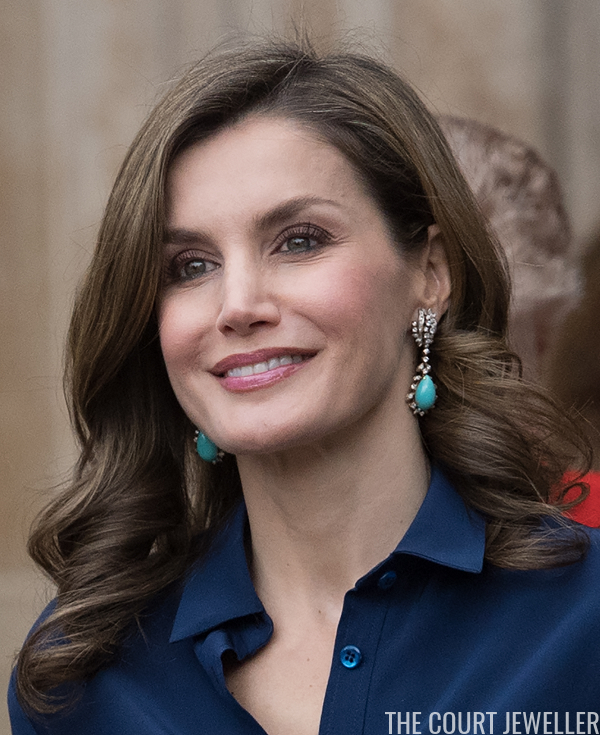 The earrings are another pair borrowed from her mother-in-law, Queen Sofia. I don't believe we know the provenance of these, but Sofia has worn them in the past with a coordinating turquoise and diamond necklace. Later tonight: the Guildhall Banquet! Cross your fingers for more tiaras!